This photo shows the 14-year-old girl, identified by family as 'Autumn,' who has died after being shot and stabbed inside her Bristol Township home Friday. A 14-year-old girl has died after being shot and stabbed inside her Bristol Township home. 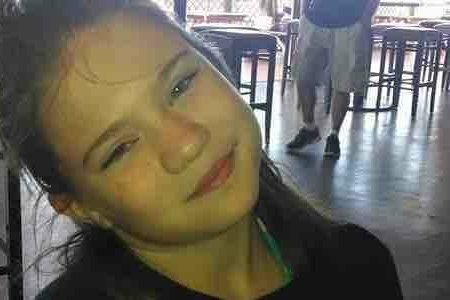 The Bucks County District Attorney said the girl, identified by family in an online fundraiser as "Autumn," passed away from her injuries around 10 a.m. Monday at St. Christopher's Hospital in Philadelphia. The girl's parents returned to their home on Sycamore Avenue in the Croydon section of the township around 6:30 p.m. Friday and found their daughter injured, according to prosecutors. The parents' 20-year-old nephew, who also lived in the home, was found along State Road in Bensalem suffering from a self-inflicted gunshot wound to the throat, authorities said. He was reported to be in stable condition at Jefferson Hospital on Monday morning. Authorities are still investigating the girl's death and no charges have been filed. A GoFundMe page set up to help the family pay for Autumn's funeral expenses has raised more than $10,000 of a $20,000 goal as of late Monday evening. Police are seeking information on the case, including surveillance images from the areas mentioned. Anyone with info is asked to call the Bristol Township Police Department's dispatch (215-785-4040) or tip (215-788-8289) lines, or Detective Tim Fuhrmann at 267-812-3049.